5 Things We Learned from Motown’s Devon Goffman – Live! Starring ... You! 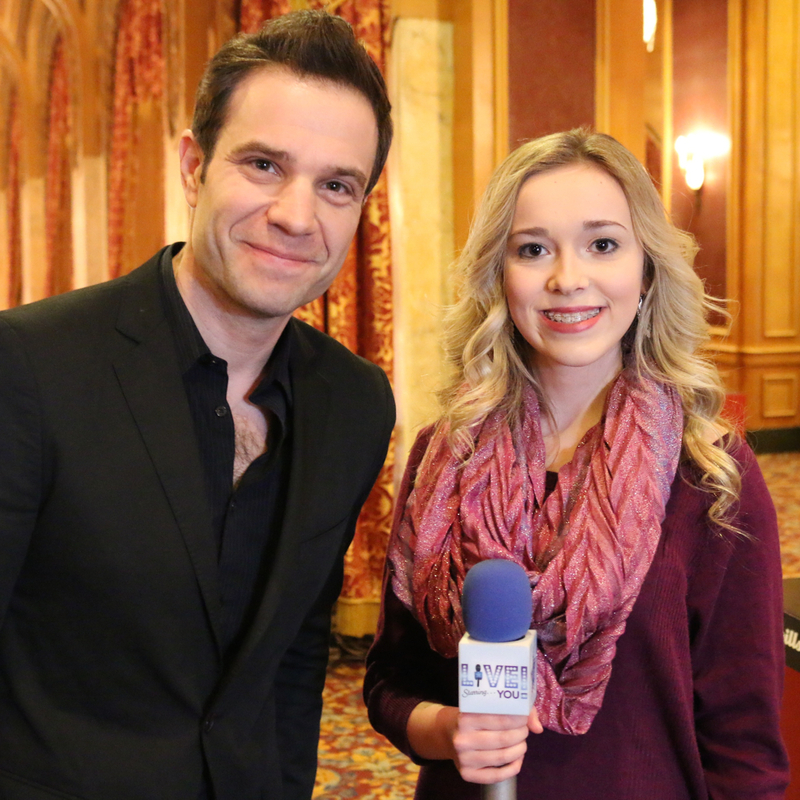 Motown actor Devon Goffman shared tips on the theater life with Camryn Clune. Theater life can be full of high points and “bumps in the road.” But this week, actor Devon Goffman’s road is taking him to his hometown of Buffalo with the national tour of Motown. Standing in the grandiose lobby of Shea’s Performing Arts Center, Devon shared lessons from his experiences on national tours including Jersey Boys, Grease, Titanic, and the Buddy Holly Story to share lessons for all of us who aspire to become future actors and actresses. Be nice to everyone. Never have a negative attitude toward anyone you meet, Devon said. You never know where you’ll see them again – or even if they’ll be able to help you in the future. Do everything you can in school. In high school, Devon participated in everything he could possibly get his hands on! Not only was he a star linebacker on his football team, but he also participated in activities people usually would not pin an athlete as doing. He was also involved with student council and anything he could get involved in that would be fun. “I did the musicals and the plays, I played trombone in the band, I was in the choir…swing choir…I basically did every music class you could possibly take,” he said. Always have a Plan B….but first you should have a Plan A! Surprisingly, Devon didn’t really want to be an actor, he wanted to teach music. But then after two years, Devon decided that acting was his true calling and realized that was the path he should take. Stay healthy. Taking care of yourself can make or break how you feel and impact your work ethic. Devon wishes he would have learned that lesson at a younger age. Bumps in the road are not always a bad thing “As an auditioning actor, you try to see bumps in the rode as lessons learned,” said Devon, who sees those bumps as ways you can improve yourself or as a sign that this wasn’t really your job. In New York, he had to work many different jobs, but what he really wanted was to do theater. Amanda McNulty and Camryn Clune are students in our program at Mount St. Mary Academy in Buffalo.